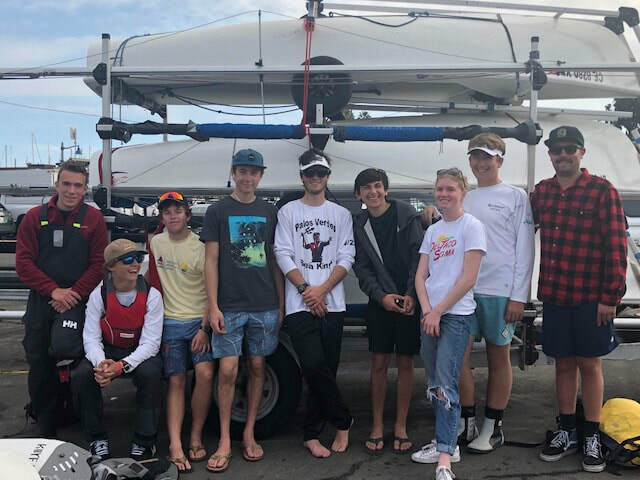 The objective of High School sailing is to practice and race at the High School level, with an emphasis on advanced skills and high intensity training in the Collegiate FJ class. 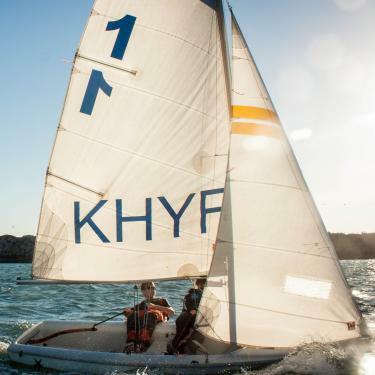 With the opportunity to practice on a consistent basis, students will have the ability to improve rapidly, and prepare for future sailing in college and elsewhere. Practices will be geared predominantly towards racing, but may include training of new crews and team members, when necessary. KHYF currently supports the high school teams for South High School, Redondo Union High School, Mira Costa High School, Rolling Hills Prep and Academy of Math and Sciences. Anyone enrolled at these schools or an 8th grader slated to attend one of these schools is eligible to join the high school RACE TEAM. However, participation is at the discretion of the KHYF Coaching staff and the required pre-requisites. Simply get in touch with the coach! 8 Collegiate FJs will be provided for practice and races, as well as the necessary sails, sheets, rudder and tiller. Trailers will be provided, but it will be the responsibility of the parents to transport boats and trailers to and from each event. Students will be responsible for personal equipment including PFD and a High School Race Log, which will be kept separate of all other race logs. 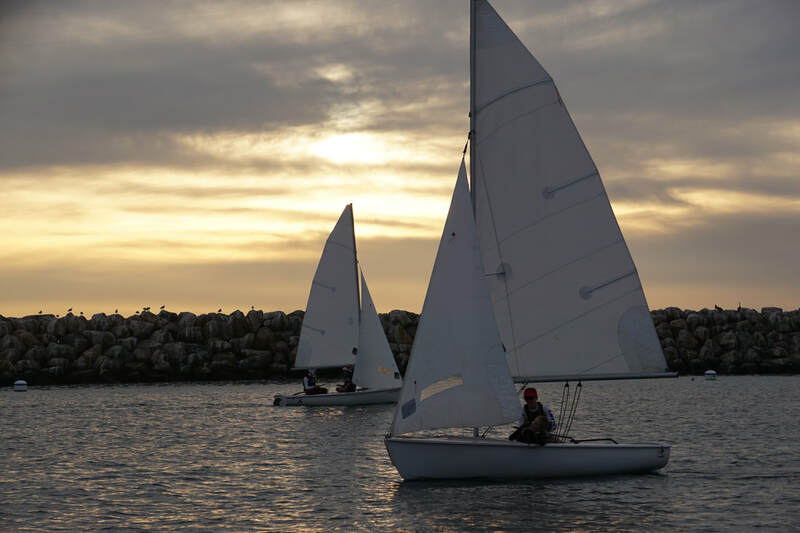 Practice: Sailors must belong to the FJ Race Team, which practices on Tuesdays and Thursdays from September through May at King Harbor Yacht Club. Compete in either 4 gold or 4 silver fleet regattas per semester, depending on team status.